Different yoga teachers often express dramatically divergent views on the ideal position of the pelvis in neutral-spine poses such as mountain pose. Which pelvic tilt—anterior (forward) or posterior (backward)—is optimal? In other words, the pelvic tilt that we instruct and aspire to in a pose like mountain might vary according to individual needs. New mothers, for example, might need to tilt the pelvis in a somewhat different way than middle-aged men do. 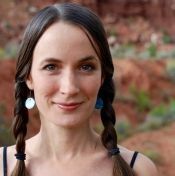 Below, Reif helps explain what the “ideal” position of the pelvis is in a neutral-spine pose, and how to begin to move ourselves, and our diverse students, in that direction—and why “tucking” is never the best way to get us there. 1. 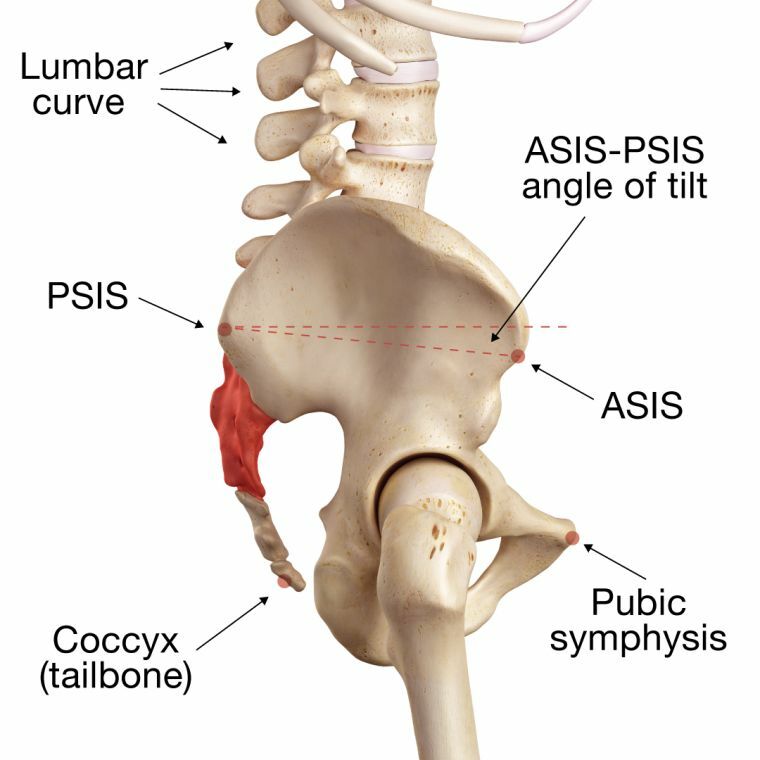 A “neutral” pelvis is the pelvis in a position that best supports a curve in your lower back. Many yoga schools teach that a neutral or ideally positioned pelvis in poses like mountain is “an upright bowl”—with the frontal hip bones (anterior superior iliac spine, ASIS) and the pubic bone equally far forward—or they emphasize a wheeling action by which the tailbone tucks and the frontal hip bones lift toward the lowest ribs. For many students, however, moving the pelvis into this position will flatten the curve in the lower back. Tucking/scooping the tailbone, as commonly taught in these poses, is not beneficial to the function of the spine. Understanding a student’s starting point is important. As described in greater detail below, those of us who are stuck in a posterior tilt will need to move into more of an anterior pelvic tilt (by tipping the tailbone back until the lower back curves in) in order to come to neutral pelvic alignment. Those stuck in an anterior tilt, on the other hand, should move the pelvis posteriorly (by finding lower abdominal support, rather than by tucking). 2. Some of us are “stuck” in a posterior tilt. “Excessive sitting is one of the prime causes of a chronic posterior tilt,” according to Reif. Sitting restricts the movement of the hamstrings, causing tightness that pulls the sitting bones down, which then flattens or rounds the lower back. “The lumbar kyphosis (rounding of the lower back) associated with a posterior pelvic tilt can lead to back pain and disc problems, especially if it is maintained when you bend over to pick up something heavy, or you move into a deep forward fold in yoga class,” Reif says. He notes that men are frequently stuck in a posterior tilt, often coming to yoga with tight hamstrings and lower backs. 3. Some of us are “stuck” in an anterior tilt. Both the causes and the consequences of this pelvic tilt are myriad. “Excess anterior pelvic tilt potentially leads to lower back pain, hip pain (because of the internal rotation of the femurs (thigh bones) this pelvic tilt necessitates), knee pain (because of the consequent knock-knee position), and flat or pronated feet. Excessive anterior pelvic tilt may lead to increased curvature of the thoracic spine (middle and upper back), and kyphosis there will put you at risk for neck pain, shoulder pain, and headaches. In short, you don’t want an excessive anterior tilt,” Reif counsels. He notes that women, especially after a pregnancy, are frequently stuck in an anterior tilt, with increased curves in their lower backs and tightness in their hip flexors and quadriceps. 4. Students “stuck” in a posterior tilt can benefit from instructions and poses that move them toward a neutral pelvis. If we notice a posterior pelvic tilt and flattened lower back in ourselves or in our students (which may be more likely if we’re teaching men or older students)—encouraging the pelvis to tilt anteriorly will help move the pelvis into a desirable neutral position. 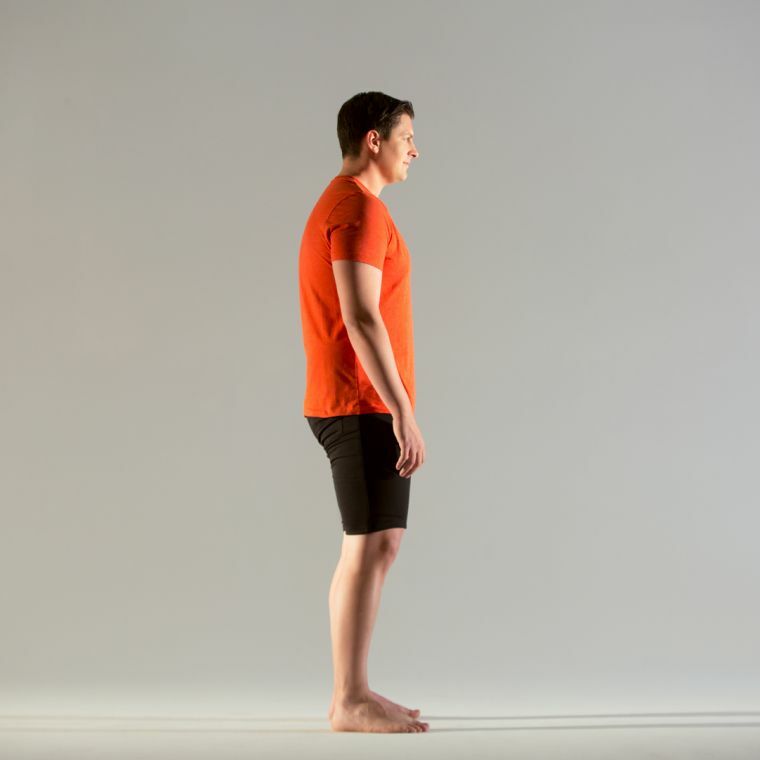 Some students may be able to process an instruction to “Tilt the top of your pelvis/frontal hip bones forward,” but others may have difficulty isolating the muscular actions required to make that happen. Supine hand-to-big-toe pose with a strap. 5. Students “stuck” in excessive anterior tilts can benefit from certain instructions and poses to bring them closer to a neutral pelvis. Moving from an excessive anterior tilt to neutral. In addition to helpful instructions like these, those who exhibit an anterior tilt may require poses that stretch the hip flexors (psoas, iliacus) and quadriceps—such as low lunges with the back knee on the floor, warrior I, reclining hero’s pose, and dancer’s pose (perhaps with the help of a strap around the ankle of the bent leg). It is important, however, that a student with a chronic excessive anterior tilt does not create these poses by tipping the pelvis forward and curving in her lower back still more; rather, she should work to move closer to neutral by maintaining a light engagement of the lower abdomen throughout these stretches. Foam rolling the quadriceps may also be helpful. Low lunge with the back knee on the floor. When we do the subtle work of moving our pelvises toward a neutral position in poses like mountain, we are creating a stable environment for the lower back.